Home / Related Reading / Exploring the Choral Ecosystem at YaleBecome A Member! Barbershop chorus singing is just one facet of a much larger international continuum of the choral art form. But as a long-established, richly resourced organization, we have a great deal to offer the entire choral world, as we discovered this month at “Sustaining the Chorus Ecosystem: A Forum on the Opportunities and Challenges for Choral Singing in Our Communities,” hosted at Yale’s School of Music. 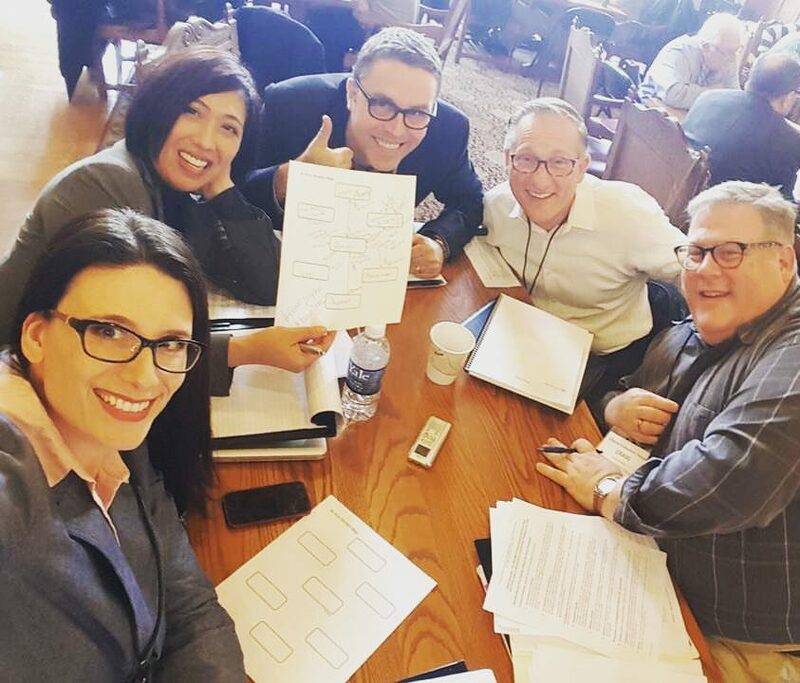 CEO Marty Monson and Chief Strategy Officer Kevin Lynch were among a cohort representing various sectors of the choral field gathered to consider the relationships between choral artists of all kinds, our organizations, our work, and our supporters. Read Tim Sharp’s complete post at The Choral Ecosystem.